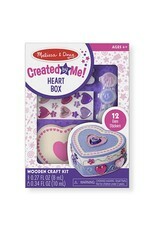 Looking for the perfect spot for storing those treasures that are close to your heart? 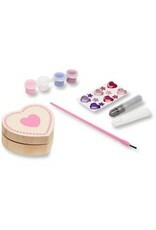 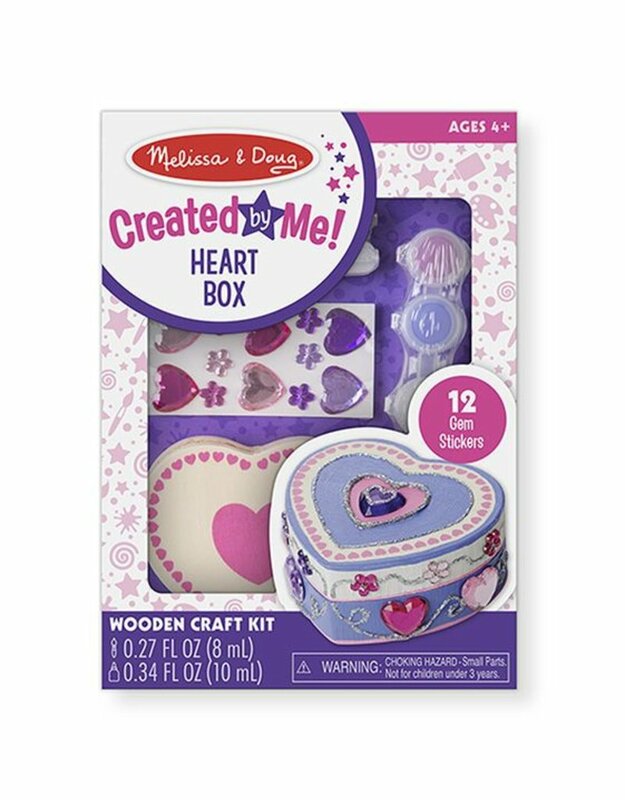 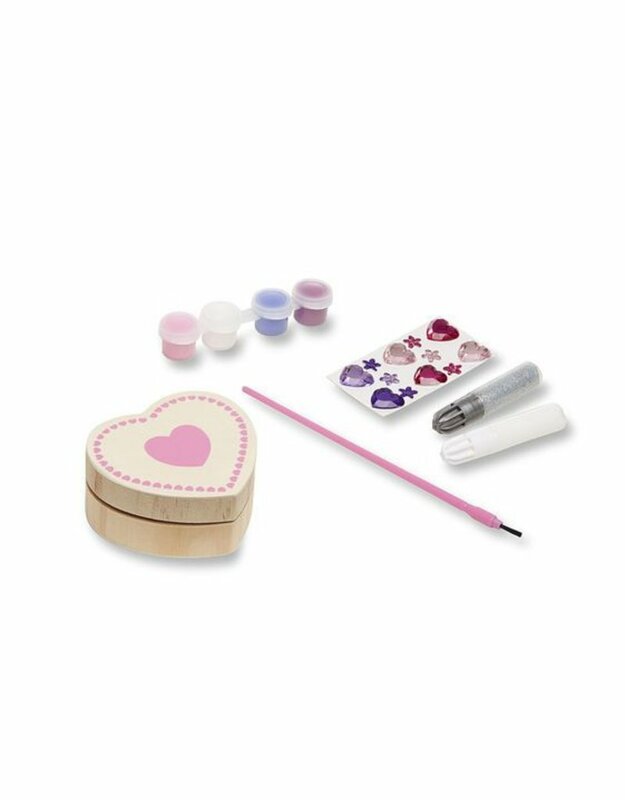 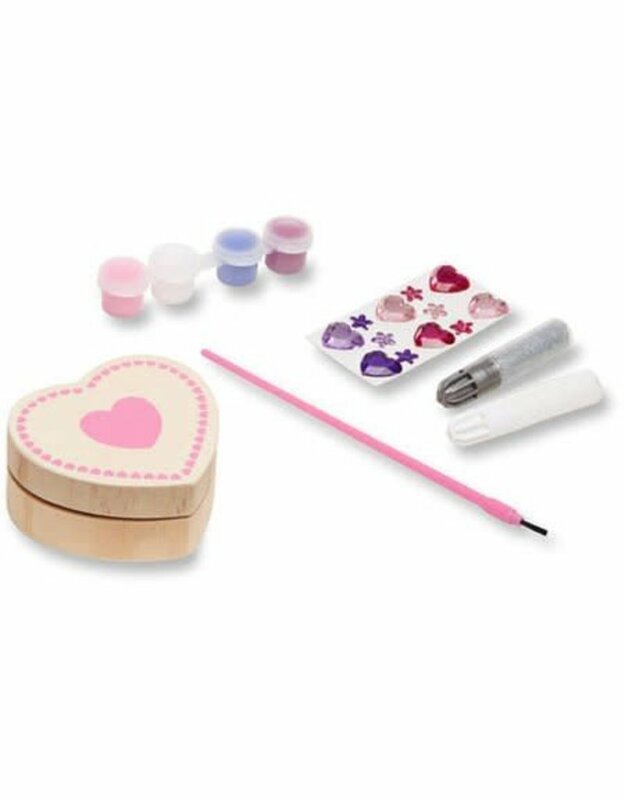 This kit includes a sturdy wooden heart-shaped box (3.1" x 1.4" x 2.9"), glitter glue, white glue, colorful gem stickers, 4 pots of paint and a paintbrush. 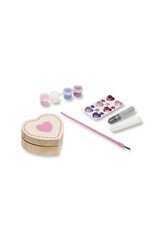 A perfect activity for parties or rainy days.